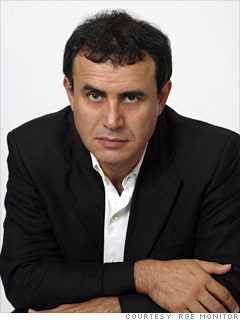 In 2005, Roubini said home prices were riding a speculative wave that would soon sink the economy. Back then the professor was called a Cassandra. Now he's a sage. His current forecast is equally apocalyptic: a protracted recession with up to $2 trillion in credit losses and a systemic banking crisis. "The FDIC spent 10% of its reserves to bail out IndyMac, and that was the first in a wave of failures," Roubini says. "Will we soon have to bail out the FDIC?"